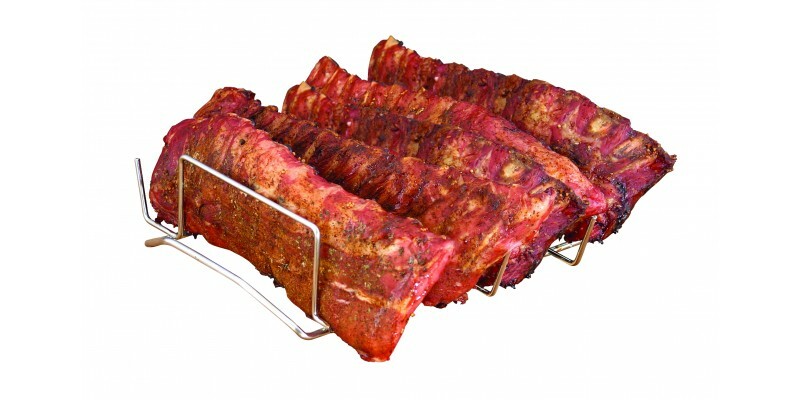 A durable, nickel-plated rack to cook the perfect ribs and potatoes in your smoker, patio grill, or kitchen oven. The Rib Rack by Camp Chef is the perfect accessory for preparing juicy, flavorful ribs in any smoker, patio grill, or kitchen oven. The unit holds up to six racks of ribs, which means you have that much more cooking space to work with. Place as many as seven potatoes on the side skewers to complete the meal. 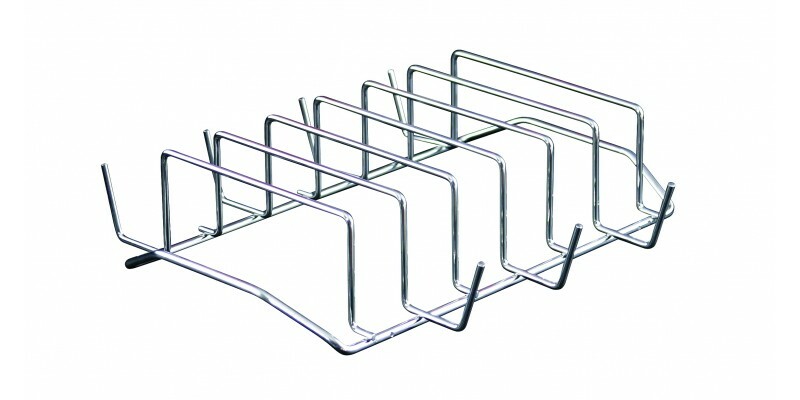 The rack boasts durable nickel-plated construction with side handles. It’s a must-have accessory for any outdoor cooking enthusiast.